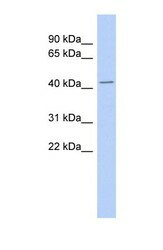 Lamins are type V intermediate filament proteins and are grouped into constitutively expressed B-type lamins and developmentally regulated A-type lamins. Lamin-binding proteins in the nuclear lamina and the nuclear interior include several protein families and/or types of proteins in higher eukaryotes such as the inner nuclear membrane proteins, lamin B receptor, emerin, and MANI, three isoforms of lamina-associated polypeptide 1 (LAP1), and several isoforms of LAP2. 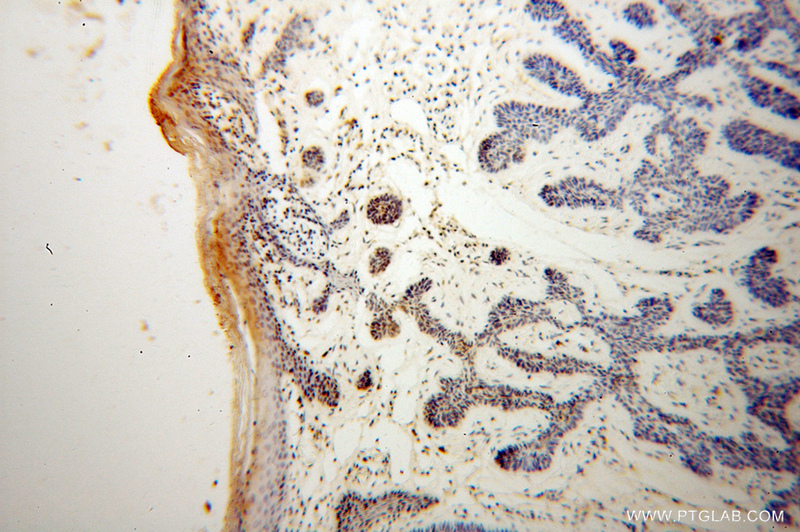 Up to six LAP 2 isoforms derive from a single gene by alternative splicing in mammals and various isoforms have been described in Xenopus. 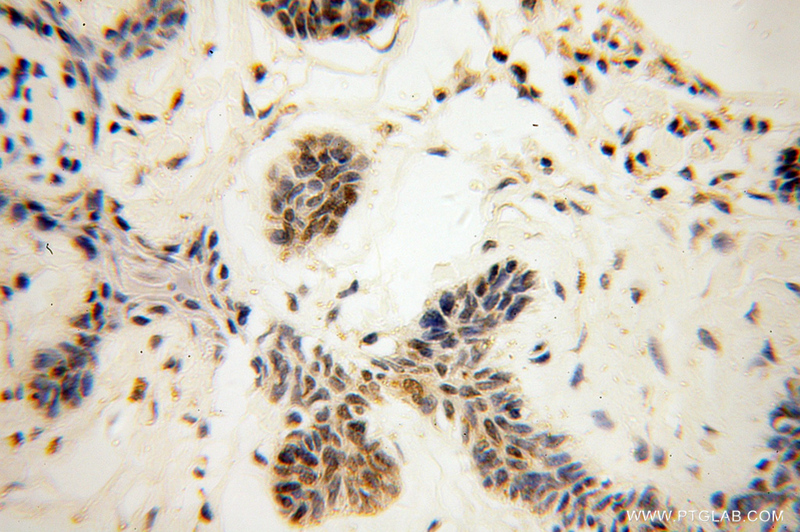 The best characterized LAP2 isoforms are the inner nuclear membrane protein LAP2 beta and the nucleoplasmic protein LAP2 alpha, which are identical in their N-terminal 187-amino acid constant region but differ in their C termini. 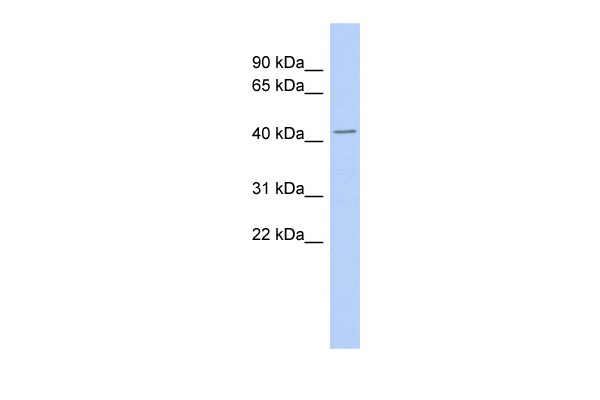 While LAP2 beta binds to B-type lamins at the nuclear periphery and was suggested to regulate nuclear lamina growth , LAP2 alpha specifically interacts with A-type lamins within the nuclear interior as part of a detergent/salt-resistant nucleoskeletal structure. 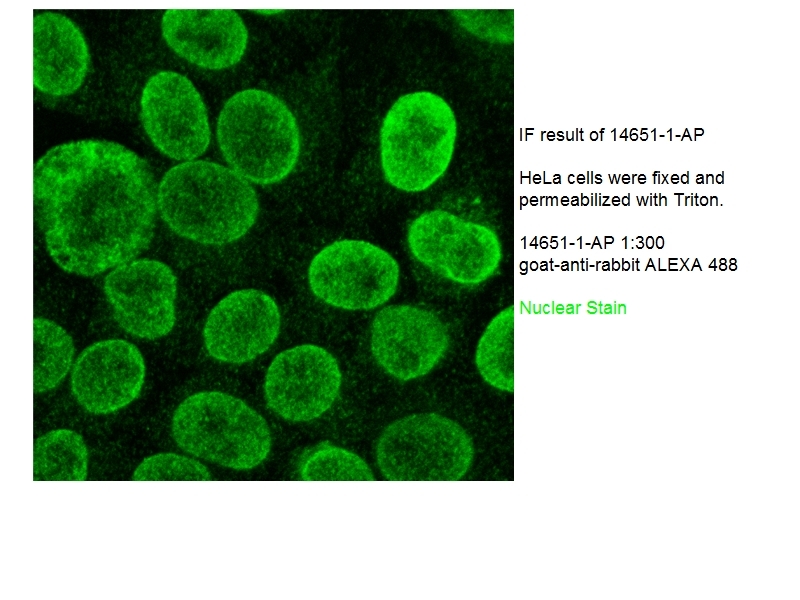 IF result of anti-TMPO(14651-1-AP) in Hela cell by Dr. Ralph Kehlenbach. 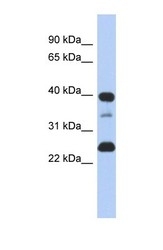 Western Blot: LAP2 Antibody [NBP1-59402] - This Anti-TMPO antibody was used in Western Blot of SH-SYSY tissue lysate at a concentration of 1ug/ml. 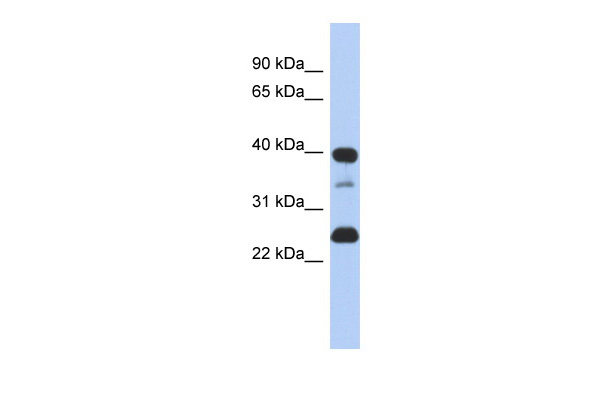 Western Blot: LAP2 Antibody [NBP1-59403] - This Anti-TMPO antibody was used in Western Blot of Fetal Thymus tissue lysate at a concentration of 1ug/ml.